IS THERE anything better than a slice of watermelon on a hot Bundaberg summer's day? Well there might just be, but for a limited time only. 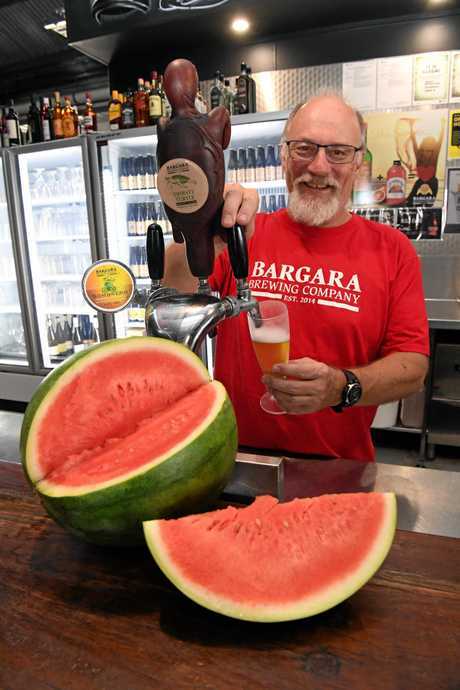 Taking 12 kilograms of local watermelons, Bargara Brewing Company have concocted 50 litres of a pilsner watermelon brew - which is now available on tap, until it sells out. Head brewer Andrew Clark said the fruit was added in a two-step process, first in the boil and again mashed up melon was added during fermentation. The pilsner is a type of lager with a massive hit of watermelon flavour and an aroma that will take you back to your childhood of licking watermelon flavoured Chupa Chups in the cool shade of a tree. 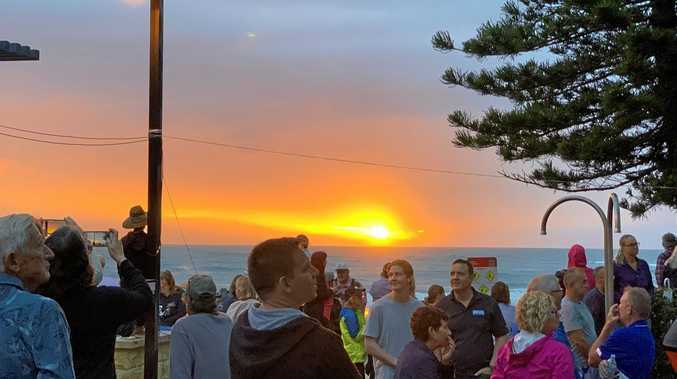 Mr Clark said the brewery had recently started to experiment with seasonal fruit and now offered about 12 new varieties of brews throughout the year in small batches. This is the first time watermelon has been added at the brewery and it came down to individual's taste as to whether they would like it. 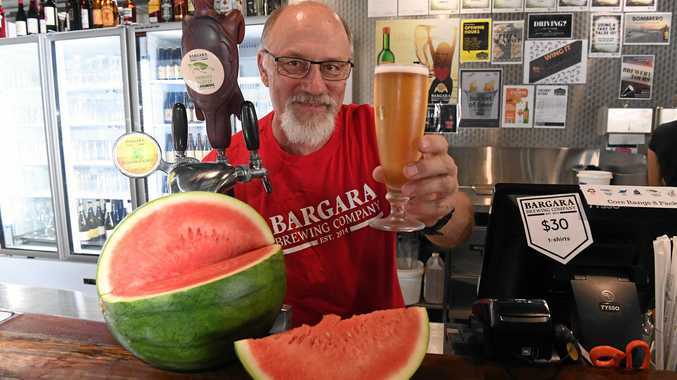 He said the pale lager was not bitter and the colour of watermelon didn't show through, unlike other brews made from fruit. Once the keg empties Mr Clark will be looking into a cinnamon cider, one he believes will give people the taste of apple strudel. He said if the watermelon beverage was deemed popular it may be considered as a seasonal drop to the menu.